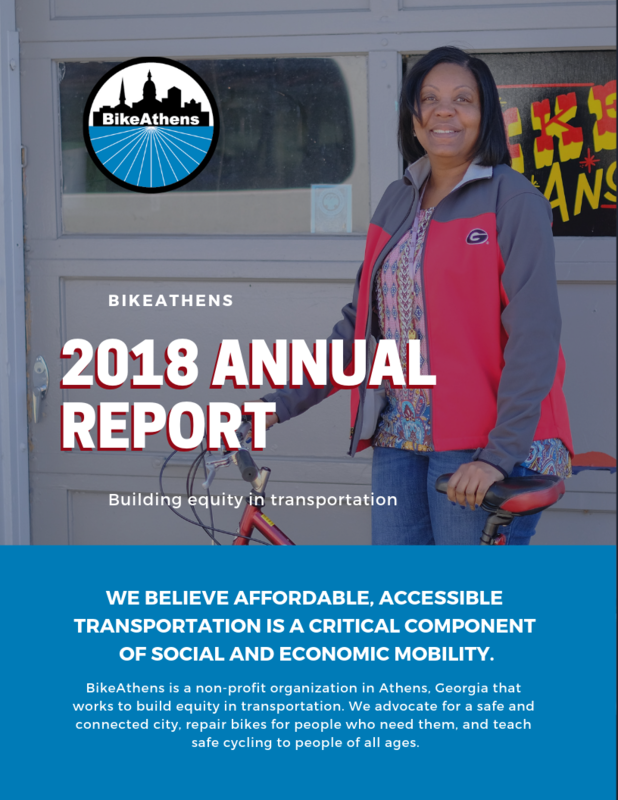 You are here: Home / News / News / Proud to present our 2018 Annual Report! 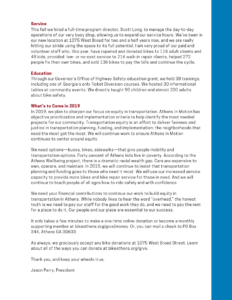 We are proud to showcase all our 2018 accomplishments. 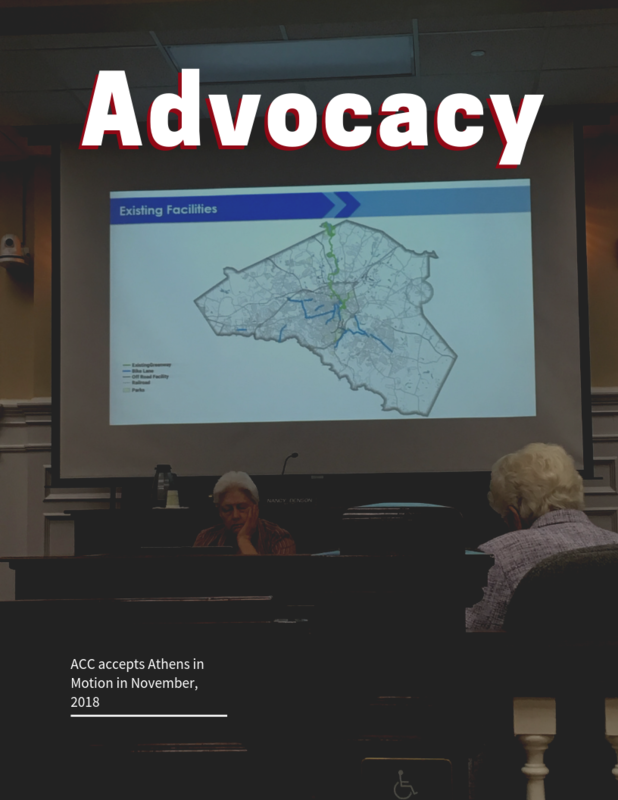 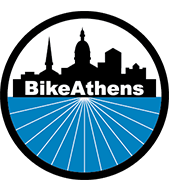 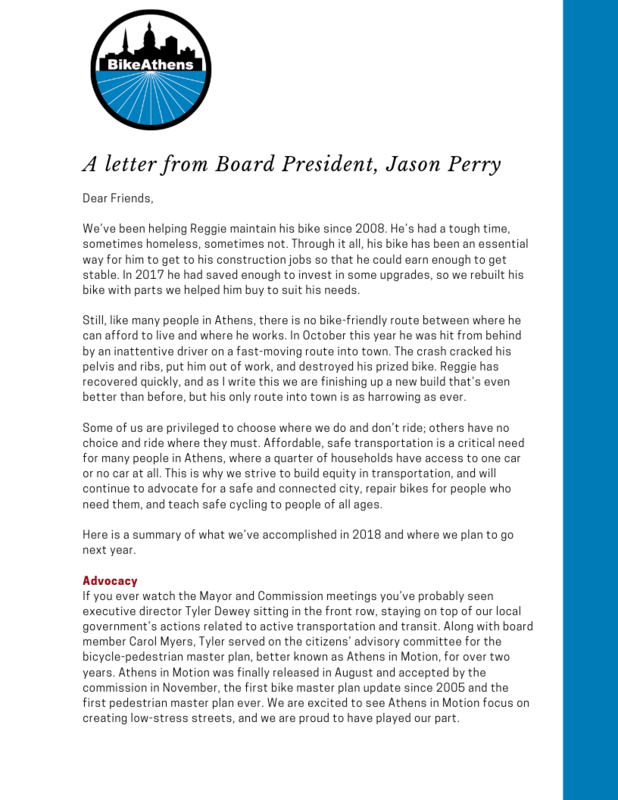 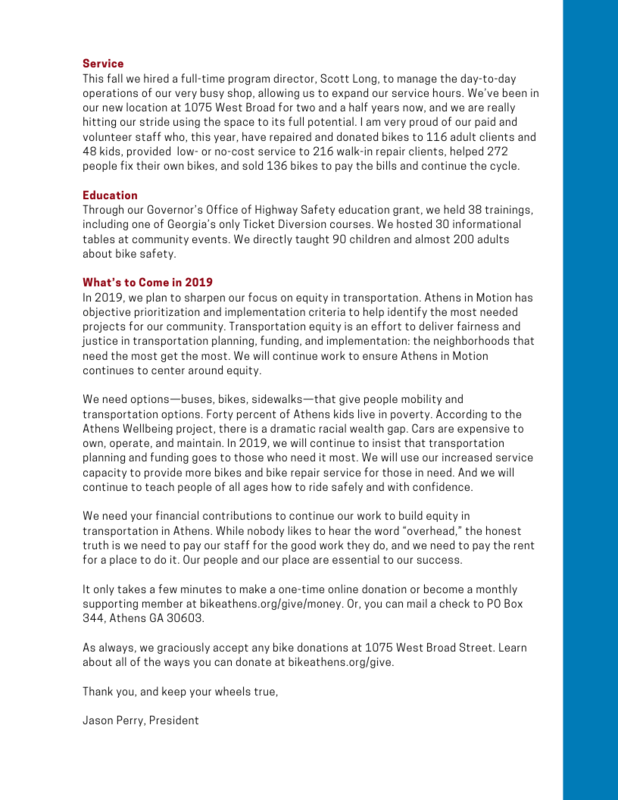 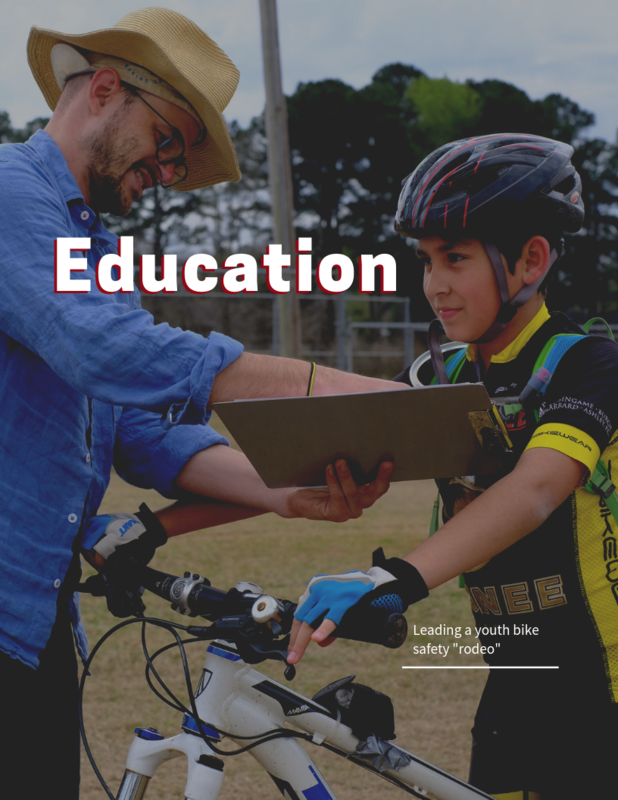 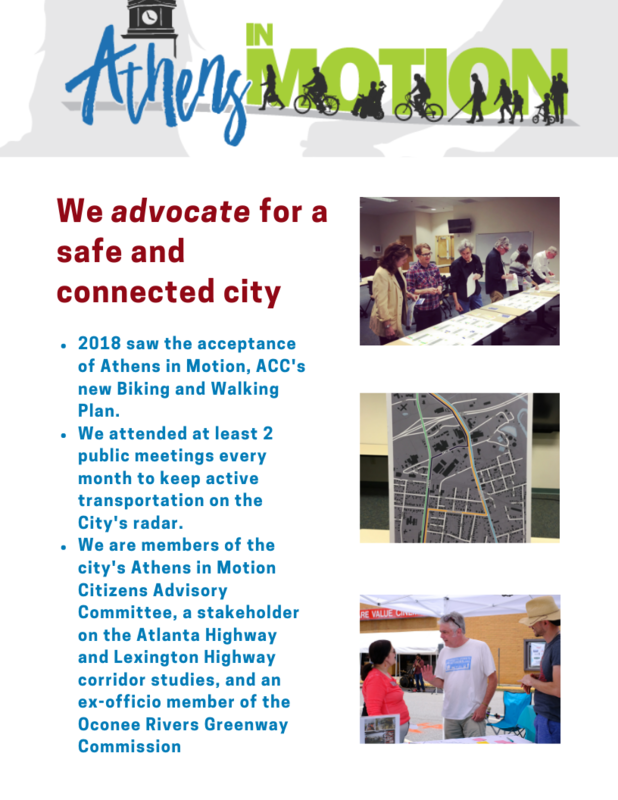 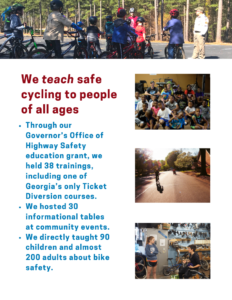 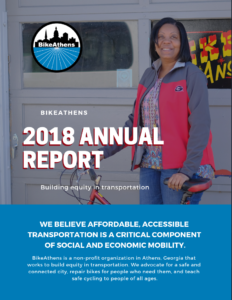 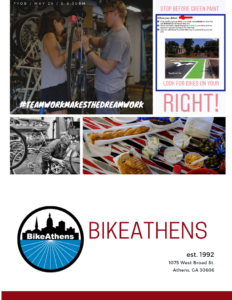 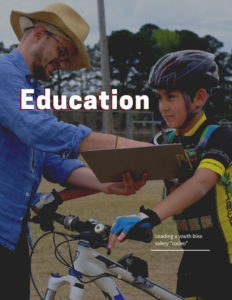 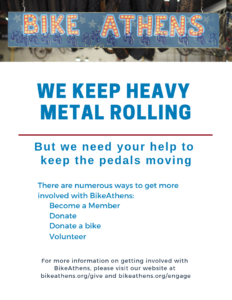 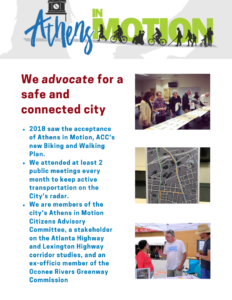 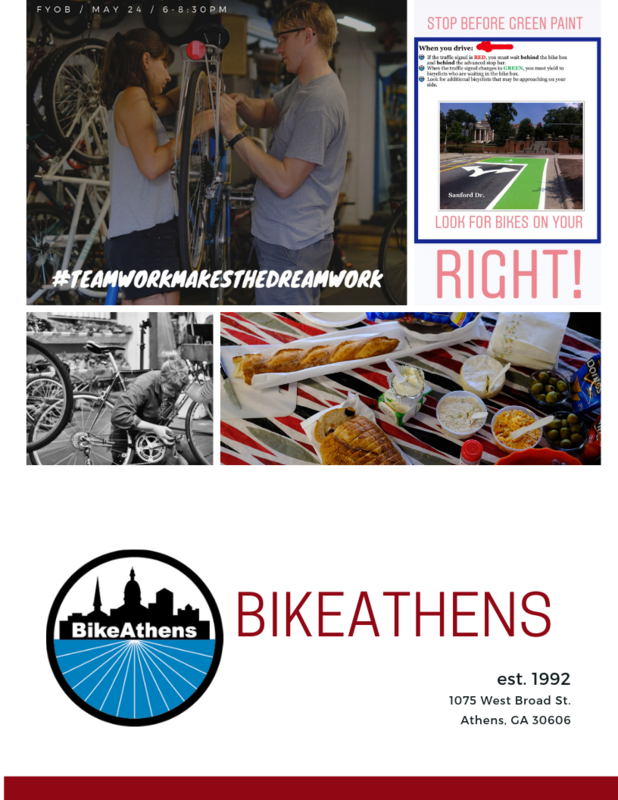 It was a big year for us–we witnessed Athens-Clarke County accept the Athens in Motion Plan for better walking and biking. We continued to expand our education programs. 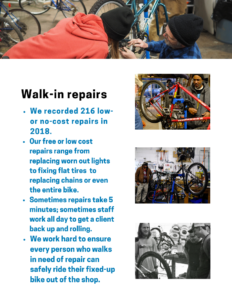 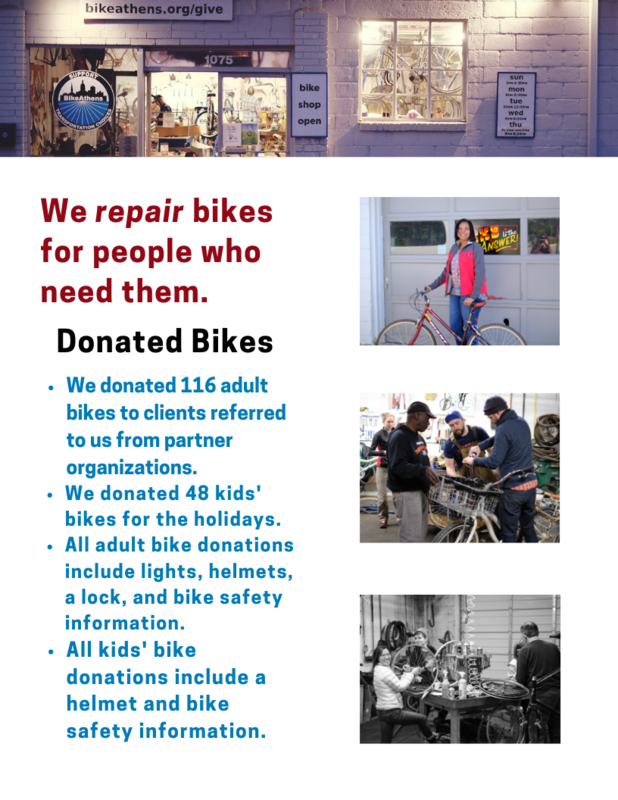 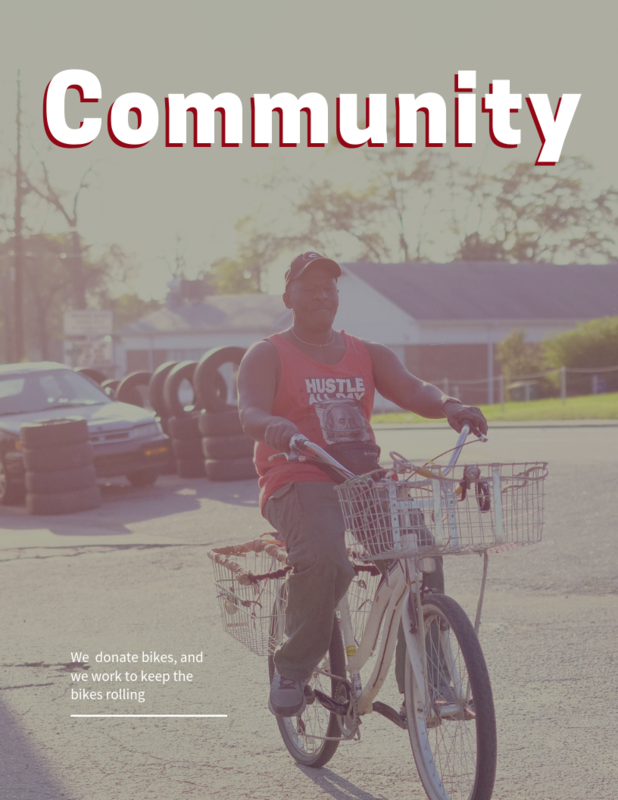 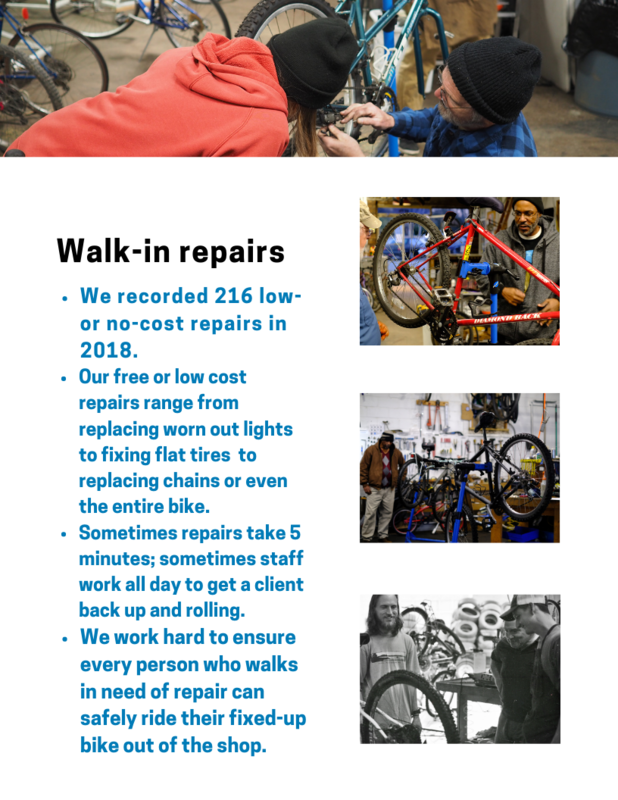 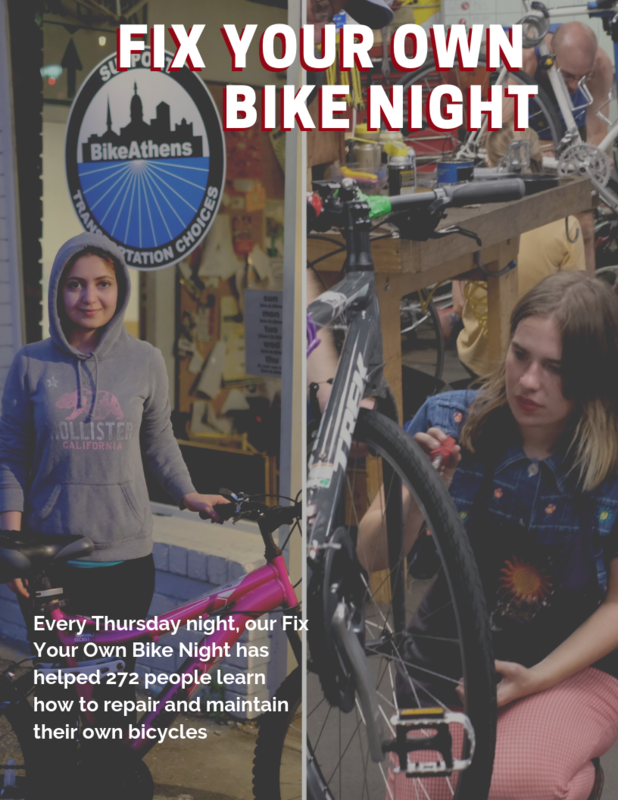 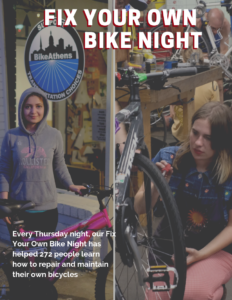 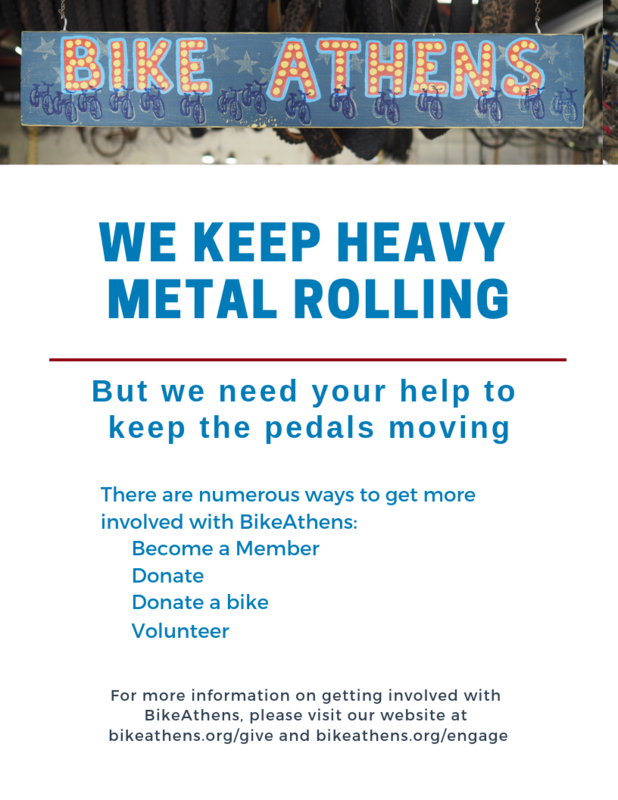 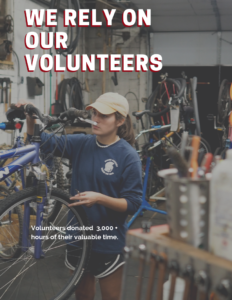 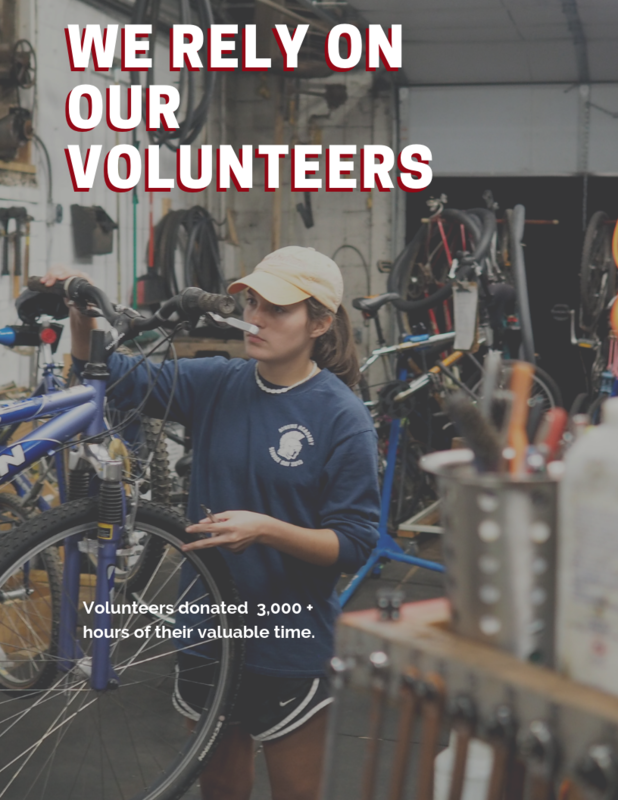 We hired a Program Director, and Scott greatly increased the amount of bikes we were able to donate. 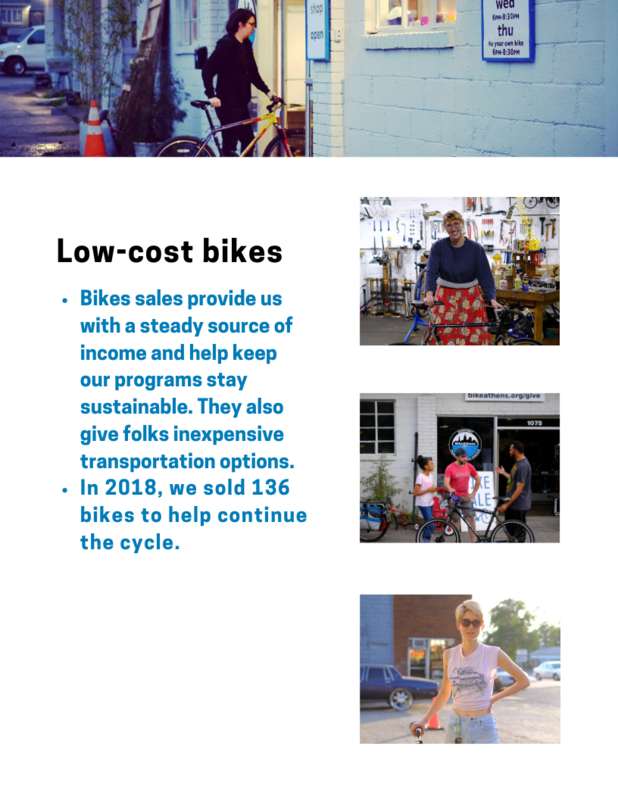 Read more about our efforts in the 2018 Annual Report (PDF).